The creator of one of the most popular survival games for mobile — Radiation Island — has just announced their next game. It's called "Escape from Chernobyl" and, as you might have guessed, will be taking place in and around the historical power plant. Chernobyl used to be a nuclear power plant in Ukraine, which blew up in an unfortunate and disastrous incident 33 years ago. With its nearby town Pripyat deserted and the general area being off limits for lots of years, it's a theme that's ripe for conspiracy theories as well as works of fiction. In the gaming world, the popular S.T.A.L.K.E.R. series imagined a grim and supernatural version of Pripyat and the Chernobyl power plant, now overrun by mutations and anomalies. Now, mobile gamers are about to get another taste. Developer Atypical Games claims that the team has gone through the effort to depict all the buildings and chambers in and around the reactor as close to reality as possible. Then, they added their own grim and dark sci-fi story on top, to keep players on the edge of their seats. 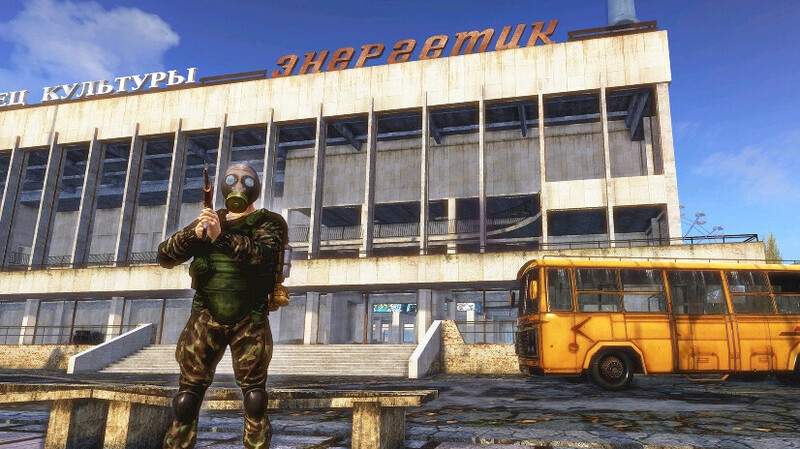 While the developer's previous games — Radiation Island and Radiation City — are known for being open-world survivors, Escape from Chernobyl will first take you through a linear story that has you progressing through the chambers of the power plant. Only after that is done will the game open up for a "choose your adventure"-style approach with the surrounding map being accessible to the player. The game does look quite pretty, considering it's being built for mobile. Since Radiation Island does support an external controller on both Android and iOS, we assume Escape from Chernobyl will too, which is great for those of us that hate playing an FPS with touch controls. Escape from Chernobyl will launch on the 9th of August. Yes, that's the very same day as the Galaxy Note 9's announcement. Does that mean that it will be exclusive for the Samsung phablet? It's only fair to assume that since rumors are suggesting that Android Fortnite will be exclusive to the Note 9 for a while and Samsung is gearing up to advertise the Note 9 as and all-in-one entertainment and productivity device. But, in the case of Escape from Chernobyl, we don't believe so. The Note 9 will be announced on the 9th, yes, but will allegedly launch on the 24th of the same month. It kind of does not make sense to launch the game exclusively for a phone 2 weeks before it launches. Our guess — it will probably launch on the Apple App Store first, and the Google Play Store later, based on the developer's history so far. What will be the requirements be for this game? I've got a Xperia Xa1ultra and the other 2 games work fine.